The Year of the Devil is a film for people who can hear the melodies. Recovering alcoholic Jan Holman comes to the Czech Republic to shoot a documentary about an alcohol treatment center. There he meets singer-songwriter Jaromír Nohavica and his ‘guardian angel’ Karel Plíhal. Karel Plíhal stages a rehearsal of his own funeral. The mournful procession is accompanied by the music of Čechomor. Karel Holas, Čechomor’s fiddle player, is employed by an upper-class hotel to entertain guests in the elevator. 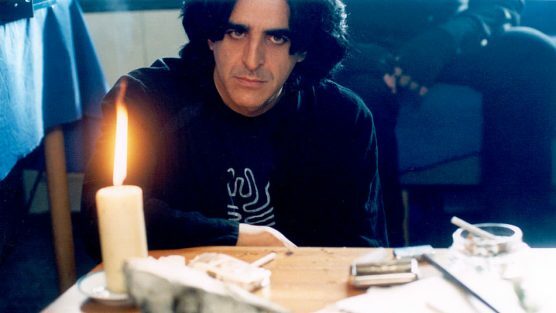 During one particular ride he plays for Sydney opera conductor Jaz Coleman, the ex-singer for the British band Killing Joke. Jaz offers Čechomor the chance to tour with the symphony. In the end, Čechomor opts for Nohavica. Nohavica’s recovery so fascinates Dutch documentarist Holman that he decides to shelve his original plans and follow the musicians on tour. 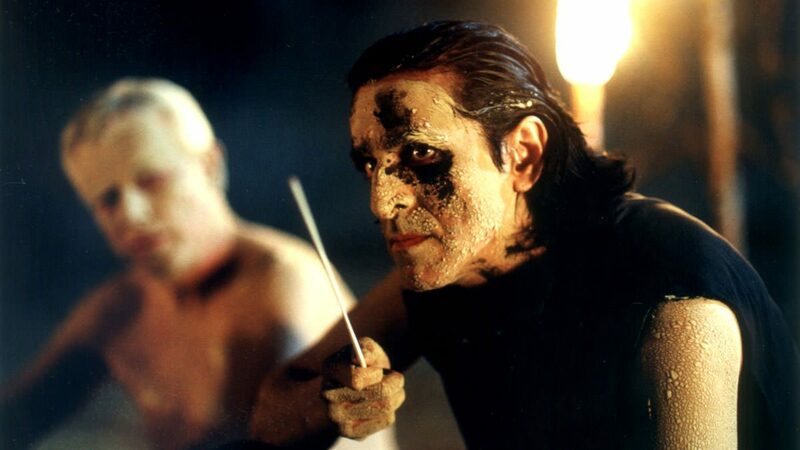 What originally starts out as a normal concert tour soon ends up as a series of strange, sometimes supernatural experiences climaxing in a ritualistic ceremony at the bottom of a strip mine. The Year of the Devil is a mysterious and somewhat frightening title. What does it cover? Who’s the devil in the film? The devil in the film might be Jaz Coleman. He of course claims that I’m the devil. But maybe the devil is alcohol, the music industry, pride, or the general apathy of our entire nation. I’ll just have to see; such decisions are usually made in the editing room. Your movie has real personalities but you wrote the script. Is it an actual story or some kind of mystification? Didn’t the main characters put up any resistance? I’d compare work on the script to the dramatization of a literary story, or work on a motif. There were clear characters and a free topic and plot. Sometimes it’s just the opposite. A person may choose the theme of a story but then has to try to find characters to fit it. Stories cannot be divided into the actual and the mystifying. That in itself is the greatest mystification. In reality, just like with music, stories can be divided into good or bad. This is already your third film about music (Padlock 1982-2007, Mňága – Happy End). Where are you going with this? Why are your protagonists musicians? I make films only because of the music. If I couldn’t put music in my films I wouldn’t make them. Images by themselves say nothing to me. I perceive film primarily as a recording medium and I’m convinced the next generation will think about it in this way too. Angels appear in the film. Do you believe in them? I believe that if angels do exist they are very vulnerable and that we must have compassion for them and help them. Perhaps my angel is Klára, so I’m trying . . .
After writing the screenplay for The Loners, Petr Zelenka has once again returned to directing. Last year he tried his hand at directing for the stage, working on a production of his own play Tales of Ordinary Madness (with nods to Bukowski) for Prague’s Dejvice Theater. His latest film, The Year of the Devil, premiered this March. It involves a fictional storyline based on the actual lives of actual people. The film is hard to categorize and the plot, as with his last feature film Mňága – Happy End, is difficult to put into words. 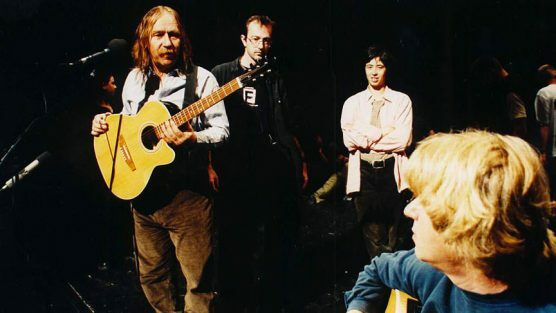 Petr Zelenka came up with the idea of making a film starring Jarek Nohavica and Čechomor when they embarked on a short concert tour together in the summer of 2000. 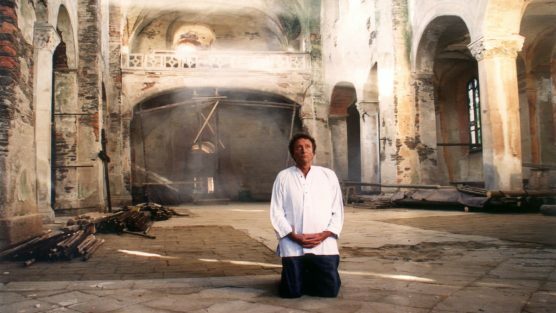 Nearly two years passed between the inception of the film as an idea and its realization; during that time a central notion was discovered capable of tying together each of the film’s main elements: Nohavica’s songwriting, Čechomor’s musical energy, and Zelenka’s absurdly comic ideas. The film was made at a variety of locations in the Czech Republic in May and June of 2001, with the filmmakers shooting both acted scenes and equally important concert footage from the Nohavica&Čechomor tour. The climax came at a sold-out concert in Prague when 35 days of filming came to an end before an audience of more than 2,000 fans.